Pulp and Paper Products Council North American printing & writing paper stats show that overall activity levels contracted for the month of September. Total P&W shipments in September were down 6.9% y/y. Coated groundwood (CGW) shipments and uncoated groundwood (UGW) shipments declined 15.7% y/y and 7.2% y/y, respectively. Coated freesheet (CFS) shipments were down 1.0% y/y, while uncoated freesheet (UFS) shipments decreased 5.9% y/y. P&W demand also fell. With the expiry of the U.S.-Canada Softwood Lumber Agreement, the outcome of what is next features two main potential options. The impact of probable duties on Canadian lumber exports to the U.S. is one option and this will be a game-changer for different producing areas, and especially depending on the amount the initial duties will be and how much is passed on to the market… Or, the other option could be a volume-based quota that is imposed to limit annual, quarterly or monthly Canadian shipments to the U.S. In peak demand periods, a quota would hold back Canadian lumber exports or else very punitive penalties would be imposed on excess volumes… “It is difficult to understand how the U.S. South, which is the largest producing region in North America, could have any specific complaints on Canadian lumber shipments, or shipments from any other region,” stated Russ Taylor, President. “The argument is different in the U.S. West. VANCOUVER, BC– – West Fraser Timber Co. Ltd. (TSX: WFT) reported earnings of $107 million or $1.35 basic earnings per share on sales of $1,155 million in the third quarter of 2016. These results compare with previous periods as shown in the table below. Adjusted EBITDA, Adjusted earnings and Adjusted basic EPS as described in this News Release reflect the adjustments described in the tables referred to in the section titled “Non-IFRS Measures” of our 2016 third quarter Management’s Discussion & Analysis. …”We’re pleased with the ongoing improvements from our capital spending program. I’m also very proud of our committed and focused employee group who continue to strive to improve operational performance each and every day,” said Ted Seraphim, our President and CEO. OTTAWA – It’s a road Bill Casey doesn’t want to go down again. The Liberal MP for Cumberland-Colchester is urging Canadian negotiators to remember Atlantic Canada’s exemption when they begin discussions on a new softwood lumber agreement with their American counterparts. “I want to remind them of our exemption that’s been included in every previous softwood lumber agreement,” Casey said. “We don’t want to have to be in a position again where we have to fight for that exemption.” Casey rose in the House of Commons recently to emphasize the importance of the softwood lumber sector in Atlantic Canada to David Lametti, parliamentary secretary for the minister of international trade. Searsmont — U.S. Rep. Bruce Poliquin, R-2nd Dist., stood outside a Robbins Lumber warehouse bay overflowing with wood chips Oct. 21. With him were Alden Robbins, vice president of the company, and his father James L. Robbins, who recently stepped down as president. Nearby, a pair of excavators dug a massive foundation for a new biomass power plant, hacking through what at first glance appeared to be the ground but was, in fact, more wood chips. The scene carried hints of the past, present and future of sawmills and the larger forest products industry, which made it a perfect campaign stop for the congressman, who is seeking a second term in office. Valutec has won an order for a total of 17 timber kilns from north-eastern Russia’s largest sawmill, Sawmill 25 in Siberian Archangelsksk, which is building an entirely new sawmill plant. The total order value is around EUR 4.5 million, which means that the order is one of the largest ever for the company, reports Valutec in its press-release. “We have had a long cooperation with Sawmill 25, which already uses our kilns in its other mills. Long-term customer cooperation is something we at Valutec value highly and it therefore feels especially good that they continue to entrust us with their business,” says Robert Larsson, CEO of Valutec. New Zealand export log prices firmed in October, aided by low shipping rates and solid demand from China, the country’s largest export market. The average wharf gate price for New Zealand A-grade logs advanced to $113 a tonne in October, from $111 a tonne in September, according to AgriHQ’s monthly survey of exporters, forest owners and saw millers. Forest products are New Zealand’s third-largest commodity export group behind dairy and meat products, and returns to New Zealand growers are influenced not only by demand in overseas markets, but also the relative cost of shipping and fluctuations in the exchange rate. A large financial loss suffered by Tasmania’s state-owned logging company proves forests locked up until 2020 should be opened up to save the industry, the Government says. 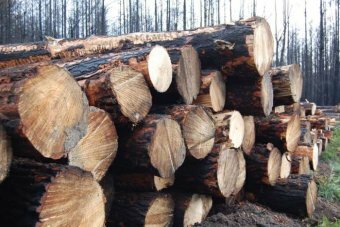 Forestry Tasmania is facing an uncertain future after reporting a loss of $67 million for the past financial year — a year after the company made a more than $30 million profit. “This is a direct result of the Labor-Green government’s disastrous Tasmanian Forest Agreement, which locked up the best forests and pushed Forestry Tasmania into more marginal country,” Resources Minister Guy Barnett said today. He did not rule out further job losses or the company being dissolved into a government department. Registration now open for the Toronto Wood Solutions Fair! The Wood Solutions Fair is the premier event in Canada dedicated to design and construction with wood and wood products. This one-day educational event, presented by Ontario Wood WORKS! and the Canadian Wood Council, showcases wood uses in commercial, institutional, industrial and multi-unit residential construction through a trade show and seminars. The Wood Solutions Fair is the only Industry event in Canada where you can earn up to six continuing education credits while learning about the latest industry trends and innovations for designing and building with wood. Traditional Japanese architecture’s reliance on wood as a building material developed largely in response to Japan’s humid environment—particularly the warm, wet summer months. Raised floors and open spaces ensured proper ventilation to fight the buildup of toxic mold. Wood post-and-beam construction is also useful when designing for typhoon and earthquake resistance. Recently, a European architecture student asked me, “Historically, why did the Japanese build almost exclusively with wood even though fires were so common?” Fire is certainly a problem for Japanese wood construction, a fact reflected in the strictness of current fire mitigation codes. The 12th annual Perseverance Trail Run was a huge success with 425 registered racers, 70 volunteers, a huge team of sponsors and countless supporters coming together to raise funds for the Cumberland Community Forest Society. Once again, an anonymous donor will be matching 100 per cent of the proceeds raised from the race and all #projectperseverance events this week. Following the race this year, the CCFS hosted a fantastic ‘Party in the Park’ including live music, craft beer, a tasty barbecue, silent auction and fun for the kids. The CCFS is a local society working to purchase and protect forest lands in the Cumberland area. How genetically unique is the coastal northern goshawk? A new gene-sequencing study funded by the province, the Coast Forest Products Association and Genome BC will try to answer that question. First identified on Haida Gwaii in 1940, coastal goshawks are raven-sized hawks that evolved to hunt under the canopy of old and mature coastal rainforests. Logging has reduced their habitat, and on Haida Gwaii, introduced deer are also eating their prey out of house and home. Do you have forestry pictures? Enter them in our contest today! A forester says he was unfairly denied a job for criticizing land-use planning between B.C. and the Haida Nation. Bryan Fraser, a former operations forester for Teal Jones in Sandspit, has filed a human rights complaint that claims he was denied a senior policy job with BC Timber Sales because of his political beliefs. The B.C. Human Rights Tribunal recently agreed to hear the case, even though Fraser’s complaint, filed in March, came six months after the standard deadline. During his time on island, from 2006 to 2010, Fraser was an outspoken critic of the political relationship between B.C. and the Haida Nation and what became the Strategic Land Use Agreement for Haida Gwaii, which he said would wipe out most economic activity in Sandspit. An unprecedented 40-year experiment in a 40,000-acre valley of Yosemite National Park strongly supports the idea that managing fire, rather than suppressing it, makes wilderness areas more resilient to fire, with the added benefit of increased water availability and resistance to drought. After a three-year, on-the-ground assessment of the park’s Illilouette Creek basin, UC Berkeley researchers concluded that a strategy dating to 1973 of managing wildfires with minimal suppression and almost no preemptive, so-called prescribed burns has created a landscape more resistant to catastrophic fire, with more diverse vegetation and forest structure and increased water storage, mostly in the form of meadows in areas cleared by fires. The Oregon State Land Board will announce the successful buyer of the Elliott State Forest at its Dec. 13 meeting. The board has put a $220.8 million price tag on the 82,500-acre, state-owned property near Coos Bay, and won’t accept bids over that amount. The buyer must be willing to maintain public benefits such as recreational access, preservation of older forest stands, protection of watersheds and maintaining jobs. But if a buyer willing to provide those benefits can’t be found, the property could be sold to a buyer who would not. Acquisition plans are due by 5 p.m. Nov. 15. On Nov. 16, the Department of State Lands will post the names of proposals’ lead participants – those that met the deadline for an expression of interest and attended mandatory meetings. Why cut down a tree? Why should we love to cut down a tree? Here are 10 reasons. First, we all use wood. A lot of wood. At least four to five pounds every day. This is a good thing. Managed forests grow wood forever, and we currently grow far more wood than we use. Other raw materials have limited supplies, even if some of them occur in abundance. Full life cycle accounting for carbon and energy clearly demonstrates wood is far more sustainable than other raw materials. Substituting wood for other materials, where possible, is nearly always the more eco-friendly choice. Second, removing the correct trees from a woodland area helps maintain forest health and vigor. Historically, conservationists have protected species by placing large swaths of land into preserves and parks. 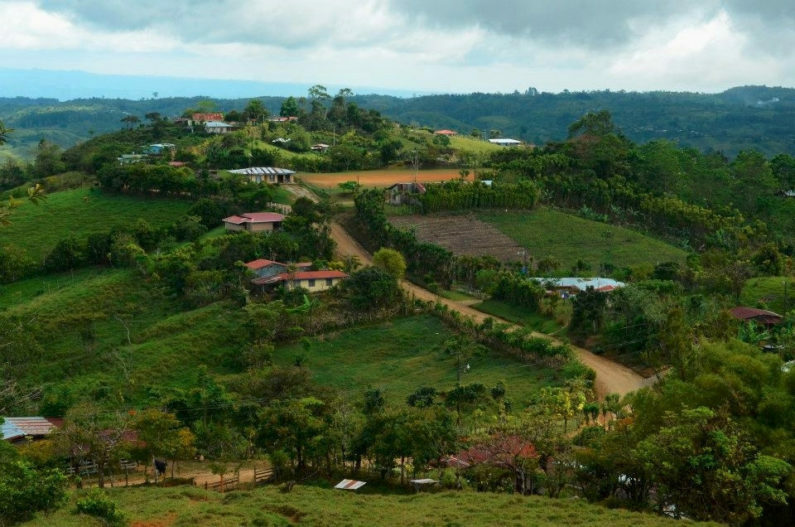 However, only 13 percent of the world’s land area is located in protected natural land. Most of the planet’s species live in ecological gray areas, located within a gradient where one end is pristine wilderness, the other a parking lot. Protecting species in these gray areas is a challenge because there’s no way to measure biodiversity without time-consuming field surveys. With no way to estimate biodiversity, making decisions for protecting habitat and species is difficult. Researchers at Stanford, through extensive observations, mapping and analysis, have now generated a method of estimating biodiversity based on tree cover. The results can be used by policymakers to help protect biodiversity and endangered species. Finding ways to harness the everyday sources of energy all around us is a concept called “roadside energy harvesting.” Scientists are continually looking for new ways to capture and use this energy. From piezoelectric sidewalks to energy harvesting-revolving doors, the idea is that our movements and actions are an untapped source of energy and putting in place energy-harnessing technologies to take advantage of that needs to be a key part of clean energy infrastructure. Researchers at University of Wisconsin-Madison have developed a new technology that could make our homes energy-generating spaces, with or without solar panels. The team has found a way to create wood flooring that produces electricity from our steps. For decades, researchers have been looking up to try to harness wind and solar energy when maybe they should have been looking down. Xudong Wang, an associate professor of materials science and engineering at University of Wisconsin-Madison, said he has developed a method of harnessing wood pulp, a common component of flooring, as an inexpensive and simple method of producing useable green energy. Wang and his team is the latest to advance the green-energy research field, being dubbed “roadside energy harvesting,” that could rival solar power because it doesn’t depend on a variable like the weather. Biomass energy does not get the kind of love lavished on other renewables, such as wind or solar. Biomass is more complicated, but that does not mean Congress should allow the federal government to discourage a renewable, domestically produced source of energy. Biomass is usually wood. It also can come from other plant and animal material. The energy derives from burning it. And the questions start: Is it the best use of trees? How efficient is it? How do the emissions compare with fossil fuels? How much does it cost to produce? Are there other benefits from using biomass energy? And how carbon neutral is it? Some of those questions are easy to answer. Some are complicated. But just because biomass energy may involve burning trees doesn’t mean the debate should stop. Why are we destroying our best defense against natural disasters? Columbia, SC – Natural disasters can have devastating impacts on all communities, as we were reminded by the floods last year and Hurricane Matthew this month. But the hardest hit are low-income communities, which often have been stripped of their natural land barriers, exposing them to the worst impacts of natural disasters. Rev Leo Woodberry The wood-pellet industry, which produces bioenergy, is the newest in a long list of energy industries that extract resources from our low-income and predominantly African-American communities and leave environmental destruction and pollution. Our Southern forests are being cut down and shipped to Europe to be burned for energy — nearly 10 million tons of trees last year alone. The U.S. Forest Service’s difficult situation in the Tongass National Forest continues. 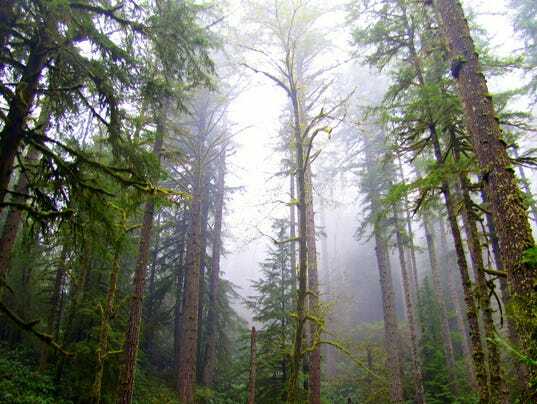 During the past week or so, the agency formally heard objections to its latest planning process document — the Tongass National Forest Land and Resource Management Plan Amendment. Objections came from a range of entities and individuals. It seems most everyone, including forest products and other natural resource development entities, conservation groups, municipalities, an energy company, a regional Native corporation and others, has issues with the plan amendment. But Forest Service officials of any longevity in Alaska know there’s no pleasing every one completely when it comes to multiple-use land management policy in the 17-million-acre Tongass. Interests are too diverse for complete agreement. Some viewpoints are so polarized that any agreement is impossible.